Cheering at a marathon is way more run than running one. At least in my opinion. This past weekend was one of those wonderful, felt like way more than two days weekends. 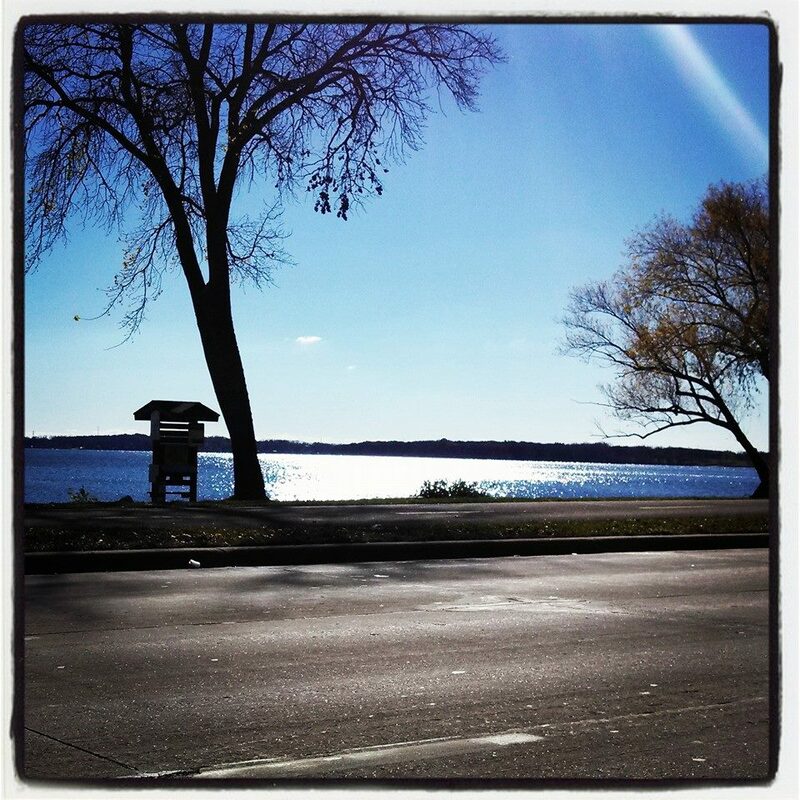 Madison will always be a special place to me and this weekend was no exception. 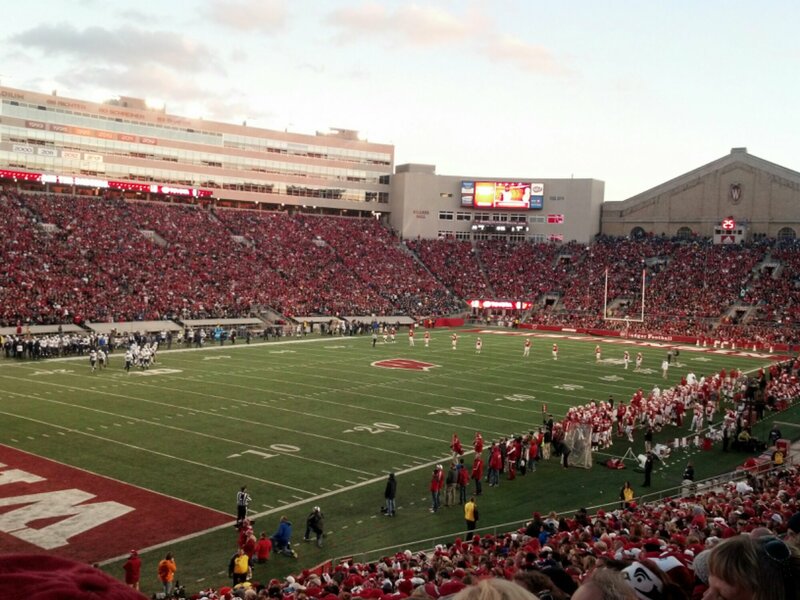 We started off the weekend cheering on my favorite team, the Wisconsin Badger Football team. It was tons of fun. Met up with friends and family before the game. Enjoyed some yummy Wisconsin beers. 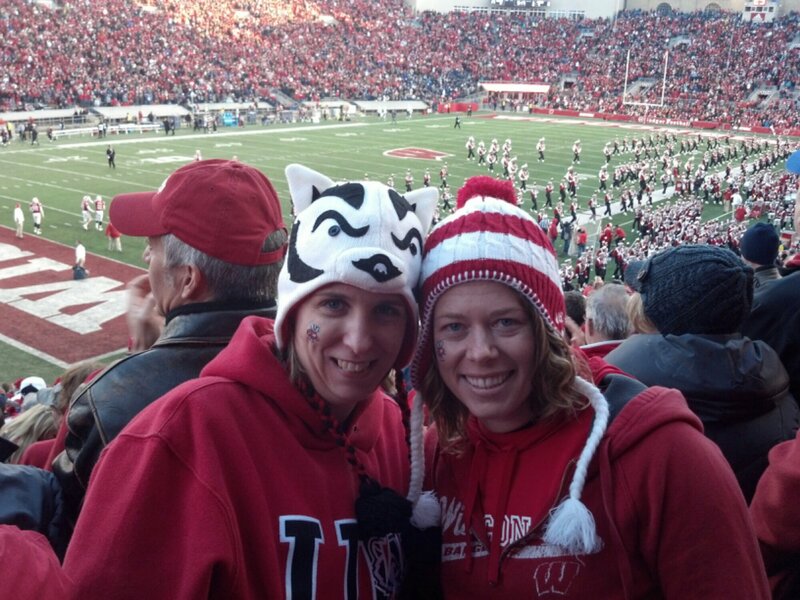 Funny story, Jen and I actually first met in real life in 2011 to go to a Badger game together. Glad neither of us turned out to be crazy murders. The game was a blast and our beloved Badgers beat BYU 27-17. 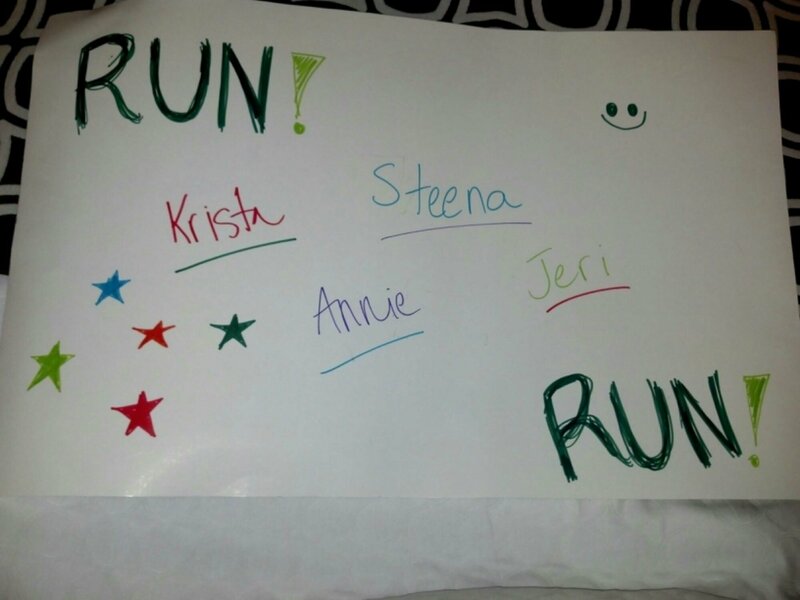 Jen and I had big plans for Saturday night: make marathon cheering posters and make a spectating plan. We had a bunch of friends to cheer for and I was going to get to finally meet Jeri in real life! Turns out neither Jen nor I are artists, but I tried. With a nice 8:00am race time Jen and I didn’t have to get up too early to go cheer. Jen had the brilliant idea to use B-cycle to get around to different points. B-cycle turned out to be super easy to use and well worth the $5. We rode on out to about the 8.5 mile mark to cheer for our friends. Managed to just catch Krista, while Steena spotted us and then Jeri came by. Our next stop was the half marathon finish where we got to watch Annie finish an awesome race and set her PR! I was so, so happy for her. I know how hard she had been working toward this goal. In addition to watching Annie finish I got to see an old friend finish as well. 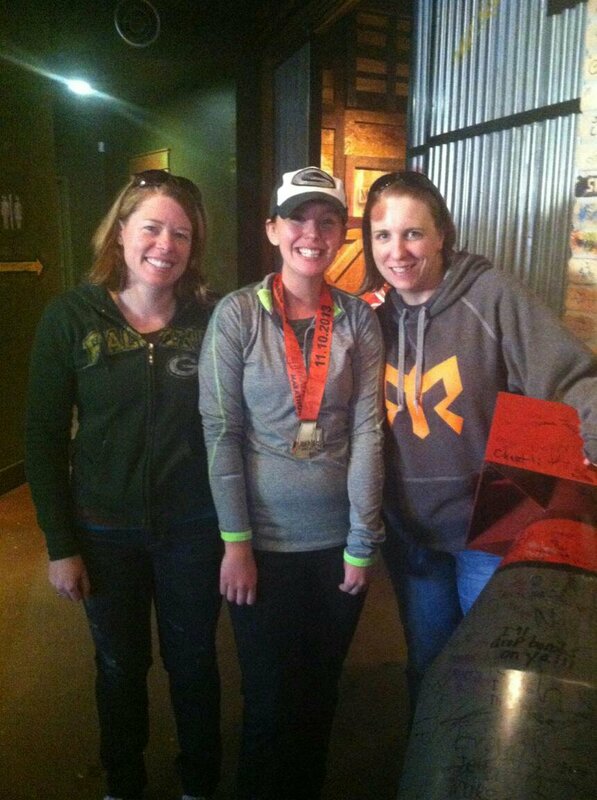 It was so great to run into friends from my Madison Multisport triathlon days. Spectator spot #3 was around 22.5. We found a nice spot in the sun and waited for our friends to come by. Krista came cruising by at an awesome pace and looked happy. We cheered for her, did some running math and were pretty sure she was going to crush her PR (she did!). Next up came Steena, followed by Jeri. It was great to see Jeri still all smiles. From there we ventured to the finish line to find Krista and Annie. We then waited for Steena and Jeri to finish. 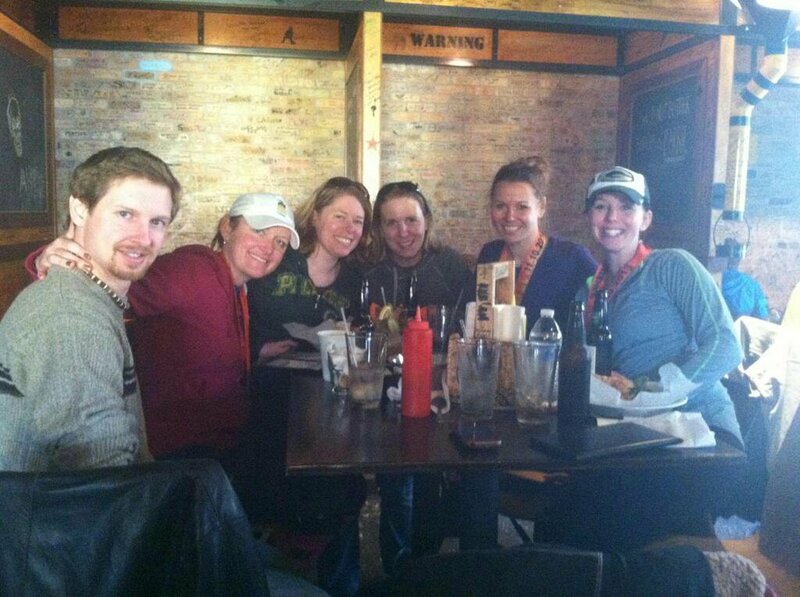 Post race celebration was celebrated over burgers and beer. It was great to get to hang out with everyone and enjoy the food and beer. The Packers certainly didn’t give us anything to celebrate. All in all, it was a fantastic weekend. 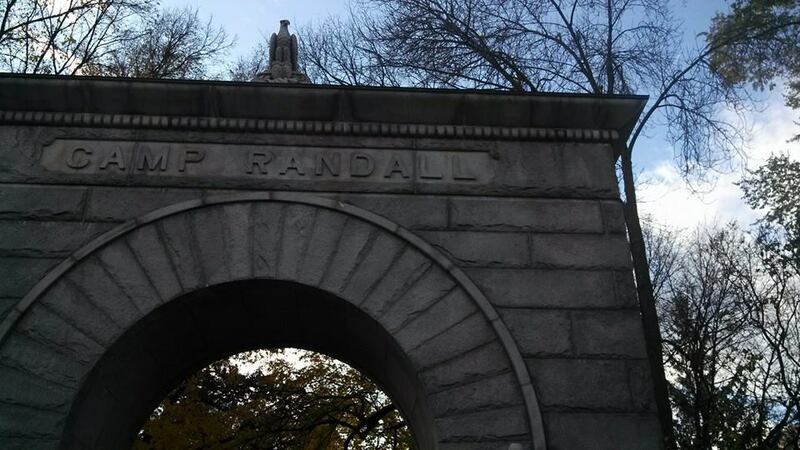 It was wonderful to spend the time in Madison and so great to see so many friends. I have to once again wonder what I would do without twitter. Everyone I hung out with this weekend was met through twitter. So thanks social media for giving me these awesome people. I must have been in full zombie mode at mile 22, I didn’t see you guys! Were you still there for my late arrival? Either way, thanks for the cheers, it always helps to see friendly faces in a long distance race! Smart idea to rent the bikes! Makes getting around way easier. Twitter is pretty darn cool, yes! We totally cheered for you at 22. You looked mad at that point. It was fun. Congrats on marathon #8!